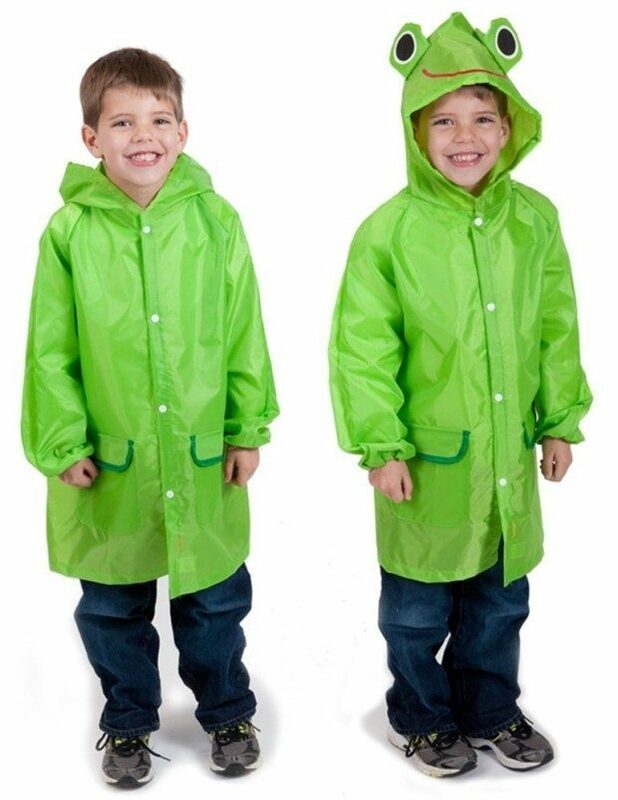 Let your child stand out in the rain with this cute frog raincoat with a 3 dimensional frog embellishment! 100% Waterproof! Comfortable polyester material.